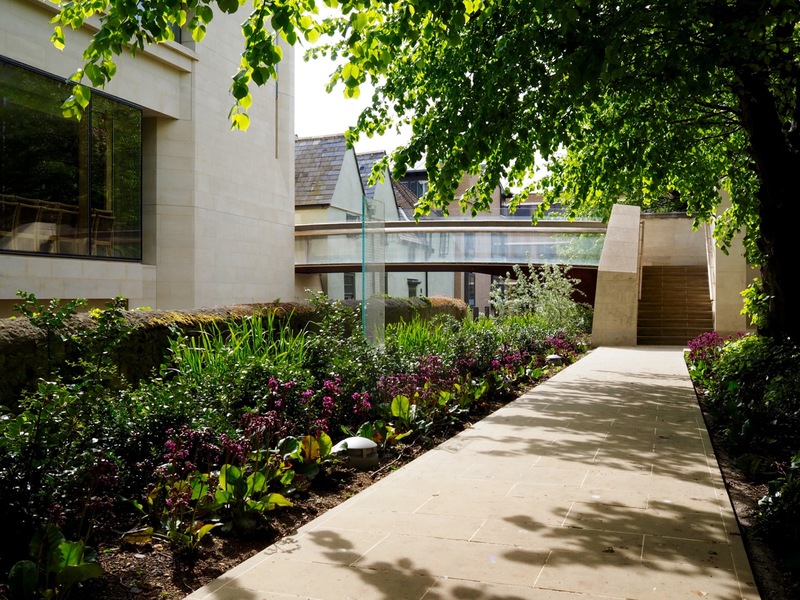 This large extension gives the college a new quad, including student accommodation, meeting rooms, an auditorium, a café and a small art gallery, plus some additional facilities, arranged in five new buildings and a refurbished listed house. Ninety-six single study bedrooms and 6 small flats, which enabled the college to accommodate all its undergraduates and some graduate students in college, while the multi-purpose auditorium and 4 meeting rooms support teaching, events and conferences. An elegant bridge in Corten steel and glass links the new buildings to the main college site across Brewer Street and the medieval city wall. The Oxford practice of BGS is particularly known for its higher education buildings, including successful additions to several Oxford colleges. Here they have created an intriguing complexity of form on a tight and sensitive site. Externally, four of the new buildings are on street frontages, the north side reinforcing the canyon-like quality of Brewer Street; and the others sitting well with existing buildings on Littlegate Street and Rose Place. 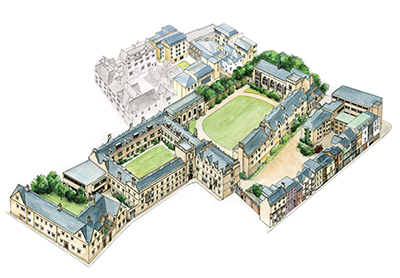 Within the site, three buildings form the quad, and by mirroring the layout of the adjacent Campion Hall (Sir Edwin Lutyens, 1936) create a much larger open space that is shared visually, to the advantage of both neighbours. 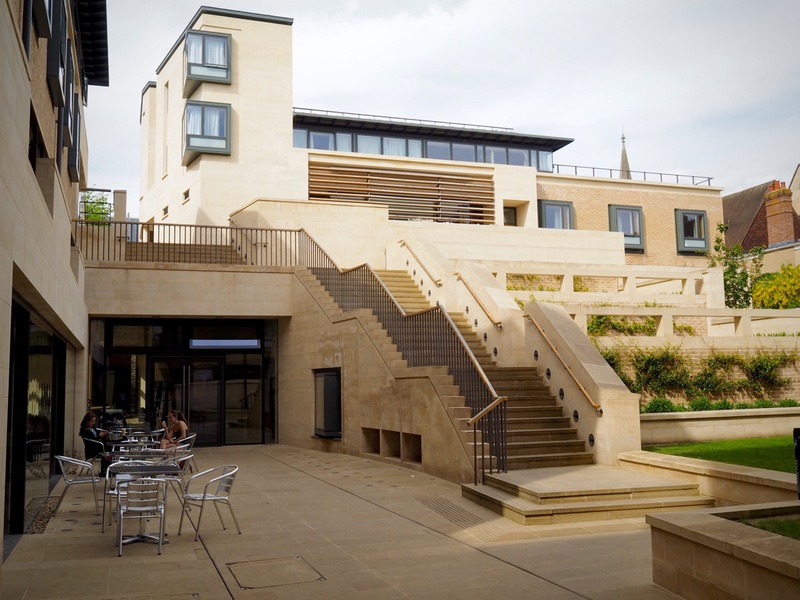 Levels are also employed to great effect: the new complex is entered at a high level, via the bridge, and descends to a level several metres below the main college site, incorporating planted terraces and steps. The main materials are limestone and pale brown brick. 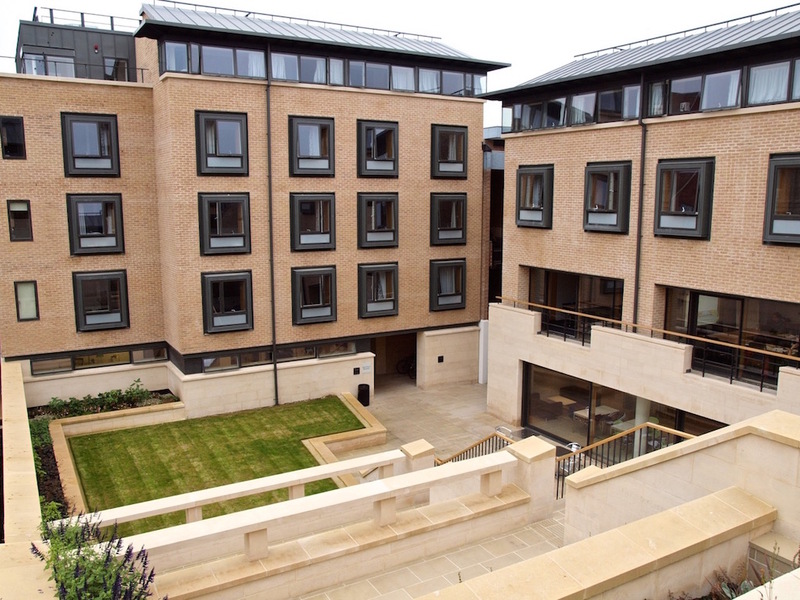 Overall, this produces a contemporary interpretation of the traditional Oxford quad that respects its setting and provides high quality modern facilities. References: Ravenscroft, Tom, ‘The modern quad’, Architects’ Journal, 1st June 2013, Vol 237 (23), pp.48-53.